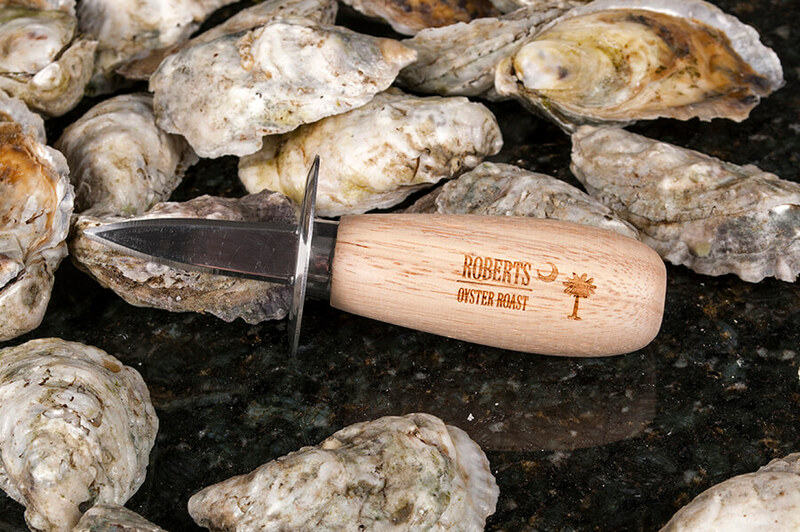 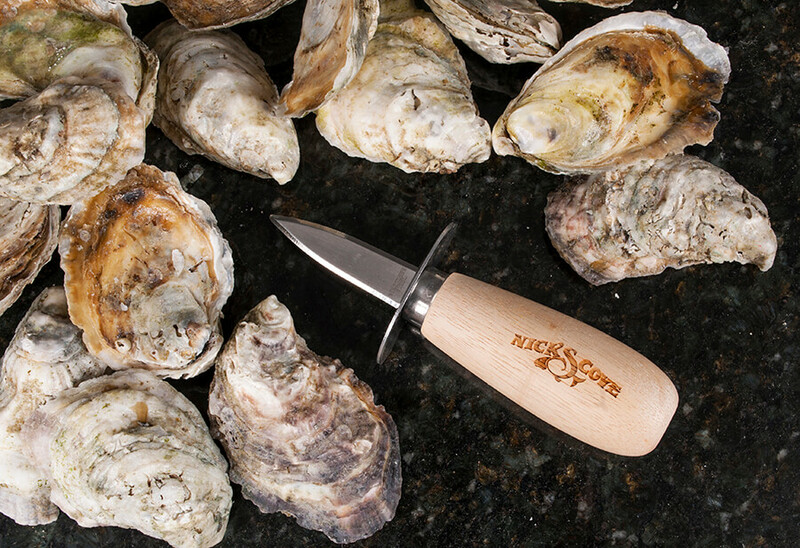 Our custom oyster knives make a memorable promotional item, retail product, or event favor. 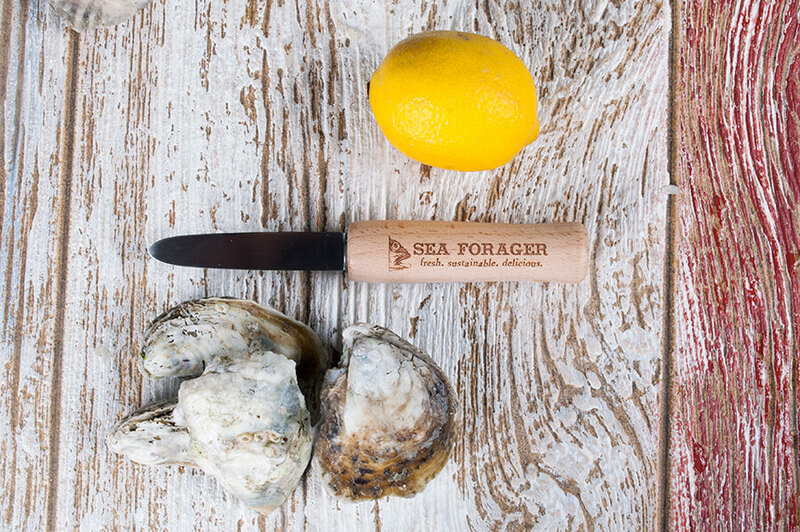 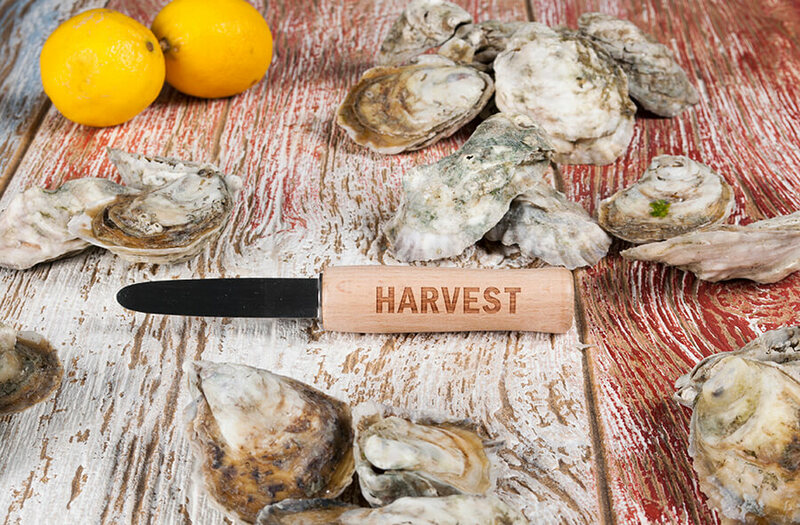 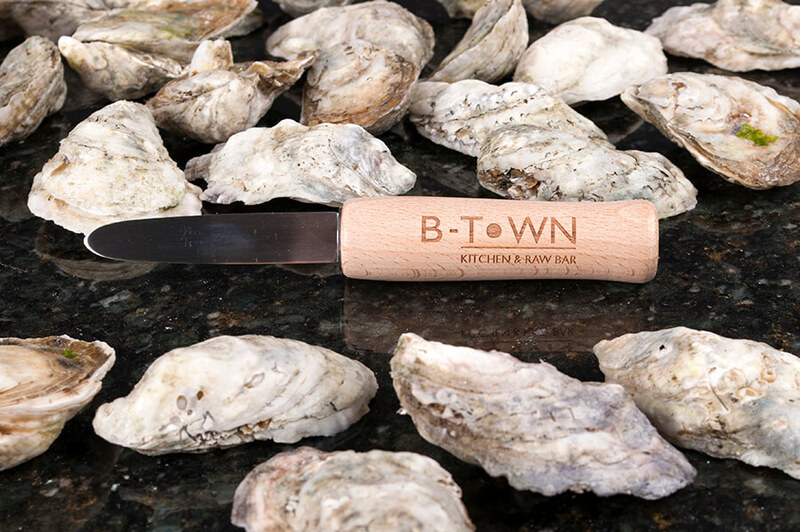 Each durable knife features a laser-engraved solid hardwood handle with a stainless steel blade (also engravable) perfect for shucking oysters and clams by the dozen. 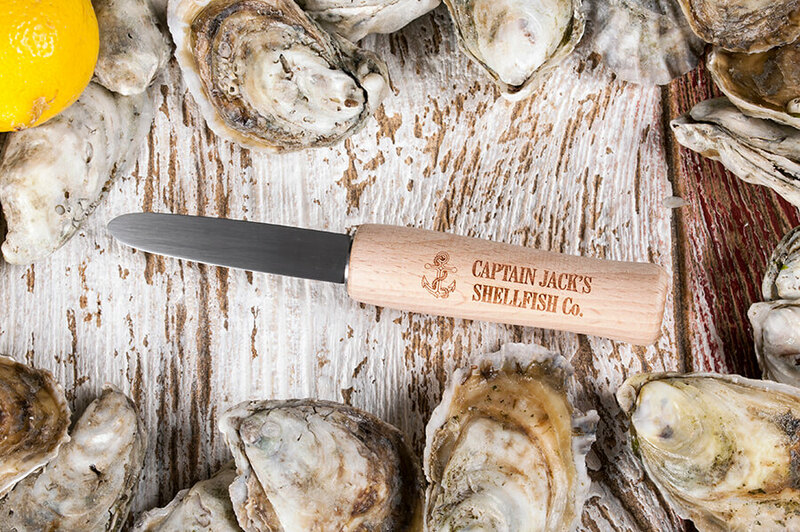 Choose between the New Haven or Frenchman style knife—both offered at the same affordable price. 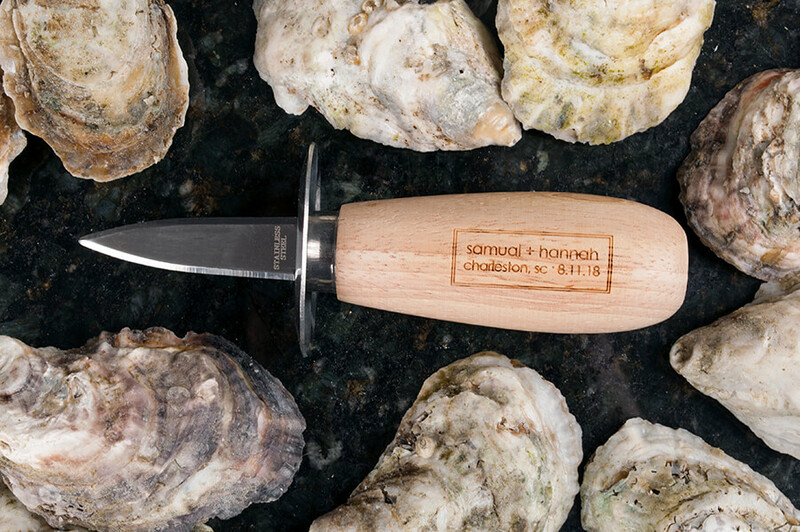 Includes handle or blade engraving. 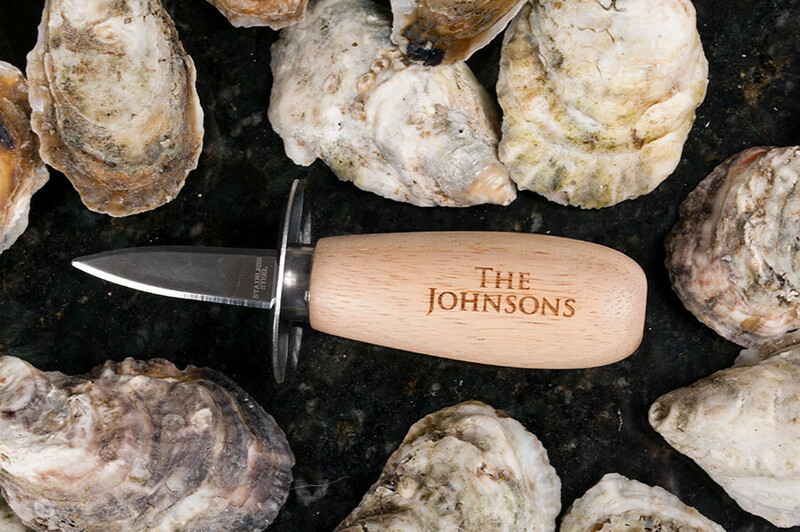 Free design proofs allow you to see exactly what your knives will look like before production begins. 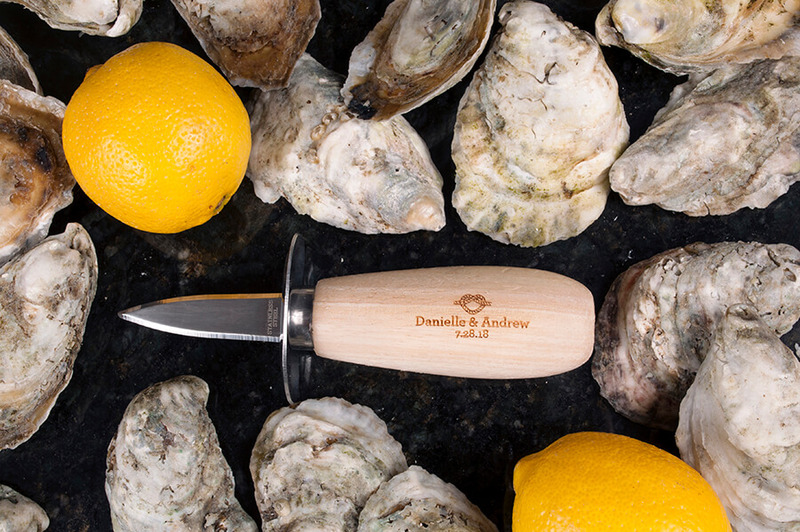 Customize each knife with your own design, text, icons, or logo. 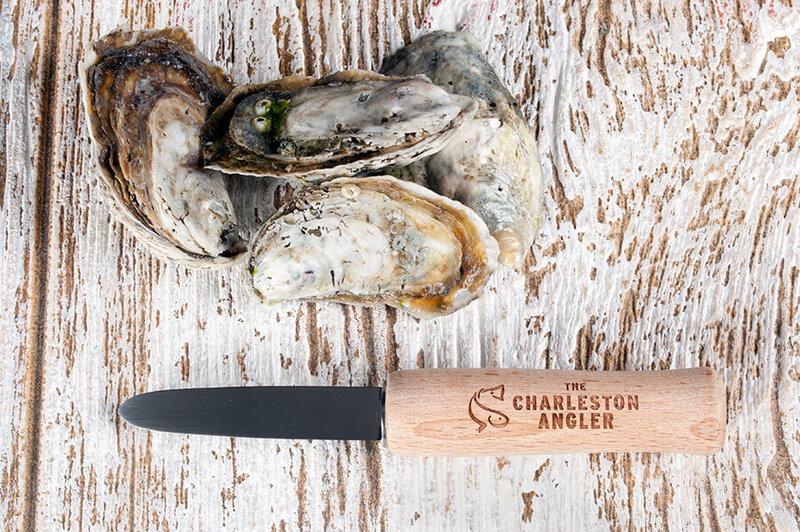 Blade: 2 7/8" long; Overall length: 6 5/8"
I haven't actually used the knives to shuck oysters yet, but they appear to be of great quality. 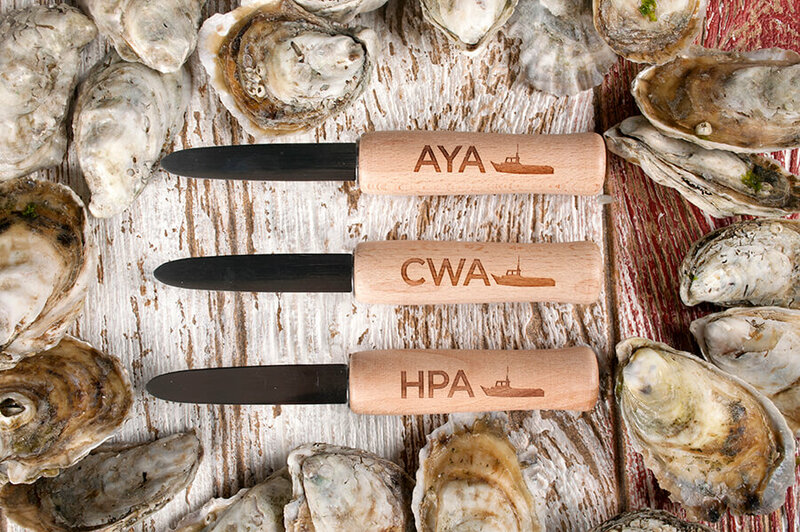 I am so pleased with this order! 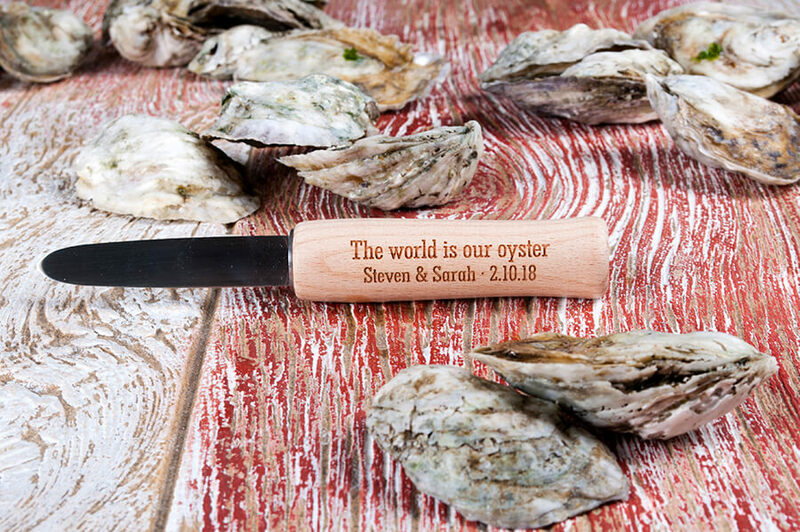 These are going to be an awesome wedding favor for our guests! 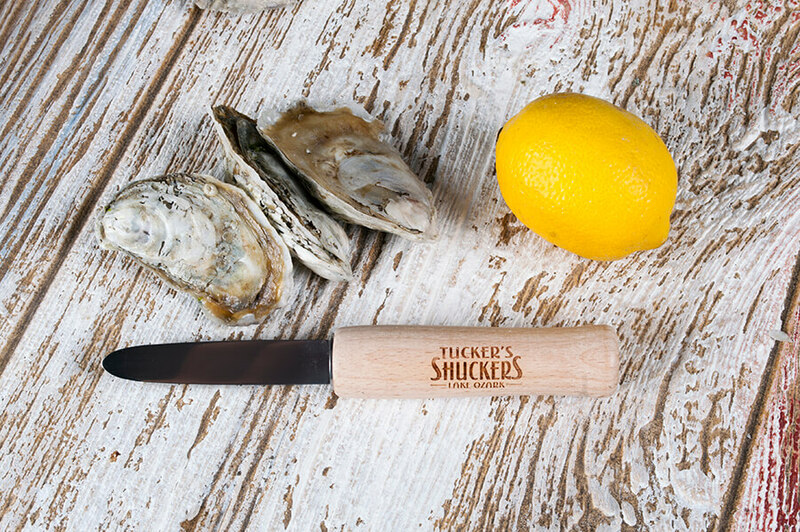 Southerners show our shuckers some love with a feature in Garden & Gun magazine. 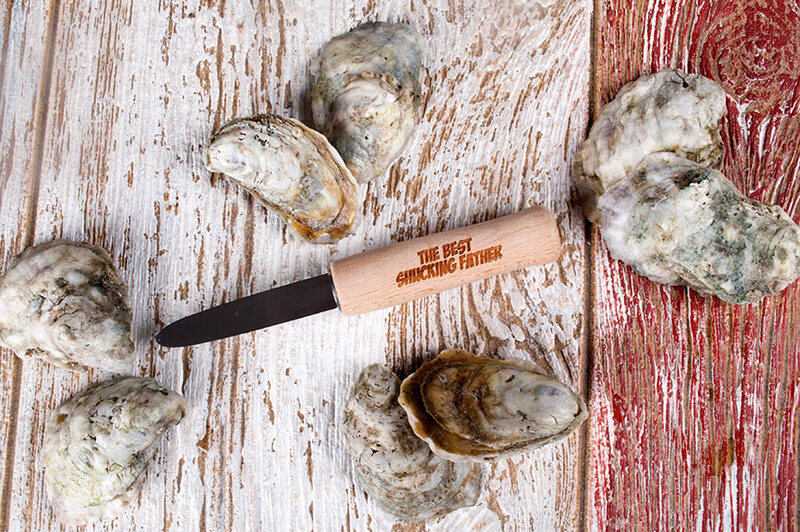 Support the Shell Recycling Alliance's efforts to return all oyster shells to the bay. 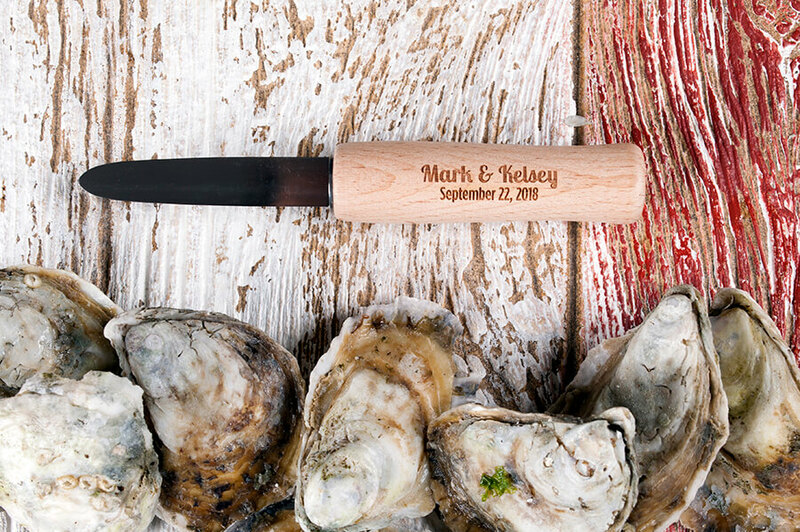 Each used shell can become home to 10 new baby oysters in Chesapeake Bay.